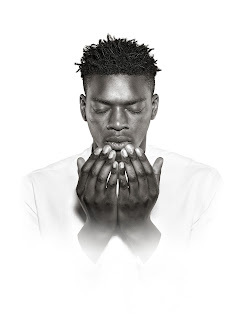 English Touring Theatre have announced Victor Oshin as Othello in the upcoming revival of Richard Twyman’s critically acclaimed production of Othello, a co-production with Oxford Playhouse and Shakespeare at the Tobacco Factory. Full cast to be announced shortly. Further dates are announced for the tour which opens at Oxford Playhouse on 20 September and tours to Harrogate Theatre, Cast in Doncaster, Lawrence Batley Theatre, Everyman Theatre Cheltenham, Oldham Coliseum Theatre, The New Wolsey Theatre, Warwick Arts Centre, Northern Stage and Lighthouse Poole. In addition ETT’s Othello Education Programme will run alongside the tour offering students and teachers insight into Shakespeare’s Othello and their critically acclaimed production. The programme will provide education packs, workshops, pre and post show talks with members of the company, as well as additional resources including podcasts and recorded footage. 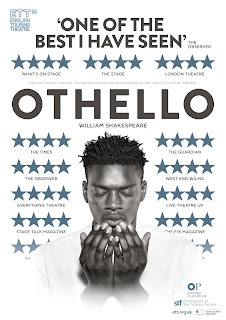 Othello is one of Shakespeare's most startlingly contemporary plays – a masterful depiction of a life torn apart by prejudice. Venice; a western colonial power employs the newly-married Othello, a Muslim general, to lead their army against the impending Turkish invasion. The strain of fitting into a society riven by discrimination and fear soon take their toll. Manipulated by Iago, Othello's life quickly unravels as he turns on everything he holds dear. Originally co-produced with Tobacco Factory Theatres. Victor Oshin plays Othello. This marks his professional stage debut. Through an exploration of their critically acclaimed production of Othello, ETT’s Othello Education Programme offers students and teachers the opportunity to gain an exciting insight into one of Shakespeare’s most startlingly contemporary plays. The programme offers an education pack, workshops, talks and other resources including podcasts and recorded footage. The lessons and activities provided are specifically designed to support KS3-4 students studying the play and who have attended the production, and cover themes including Moorish identity, women’s roles in the play and the setting and staging. Click here to access the Othello Education Pack – the pack includes discussion topics, exercises and links to podcasts and video footage. Workshops are designed to enrich and expand on the themes discussed in the Othello Education Pack. Each workshop runs for 2 hours, for up to 30 students, and is run by a specially trained facilitator. The workshops can be held at your venue at any time to suit your schedule. If you are unable to attend the pre or post-show talk but would like to discuss how you can access these digitally or alternatively arrange an additional talk for a fee then please contact ETT.